Luckily, she finds a new best friend, Brynn. These two have been best friends for so long, they decide to attend the same college as roommates. After things don't turn out so well with a failed relationship, Liv chooses to forgo any romantic commitments. She’s in college after all, so why not enjoy being single and free? Brynn, however is in a happy relationship and wants nothing more than for her best friend to be in one too. As much as she tries to play matchmaker, Liv refuses to be tied down. Unfortunately, when it's least expected, someone at school makes Liv’s world turn upside-down. As much as she doesn’t want him to affect her, he does. To make matter worse, Brynn’s boyfriend knows more about Liv then he realizes and eventually he’s able to put the pieces of her past together. When tragedy strikes, the past and the present collide, allowing secrets to come out and change everything. 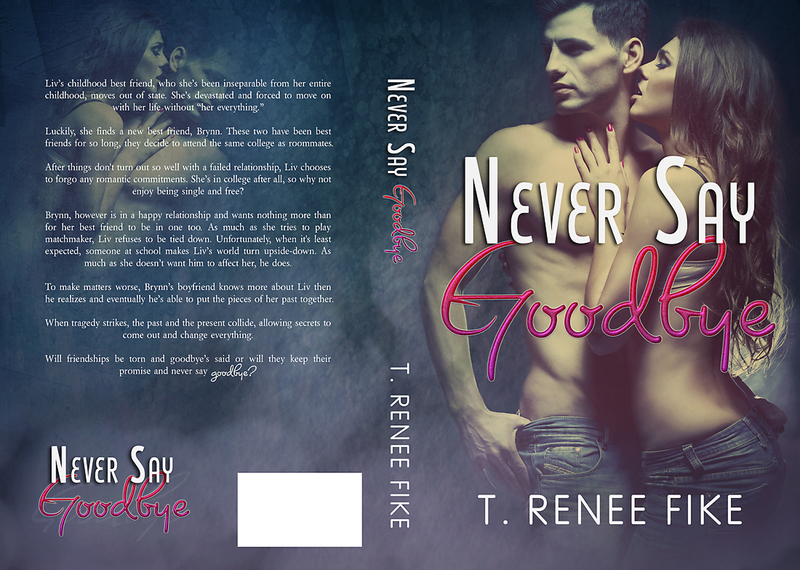 Will friendships be torn and goodbye’s said or will they keep their promise and never say goodbye?